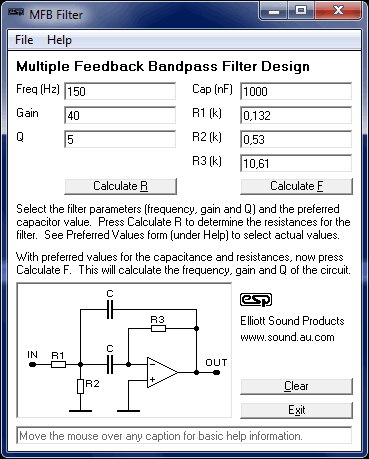 This program is designed to take the tedium from designing multiple feedback bandpass filters. These filters are commonly used in graphic equalizers, analyzers and for special applications. A set of help screens are provided to assist with component value selection, and for determining the optimum frequency and Q of the filters for various applications.